Maserati is a manufacturer that has made a lasting impression in every endeavor throughout its history, whether it’s in racing or appearing on the silver screen. Each Maserati vehicle is elegantly designed and created with superior craftsmanship to create something of beauty that embodies higher standards. Because of this, the manufacturer has become a popular choice for Hollywood directors and producers to use in their storytelling efforts. While watching television shows and movies, viewers become wrapped up in the story line and can miss the vehicles that help shape the scene. But Maserati vehicles don’t blend into the scenes, they define the moment. While there have been quite a few films where Maserati was the vehicle of choice, let’s take a deeper look at a few films and the Maserati that was featured. We can’t discuss Maserati film history without talking about a classic black-and-white romance. Originally released under the name Cronaca di un Amore in Italy during 1950, the film was released in the United States in 1975 under the name Story of a Love Affair. Viewers can see a 1948 Maserati A6G 1500 throughout the film, including a scene centered around making a deal for the car. 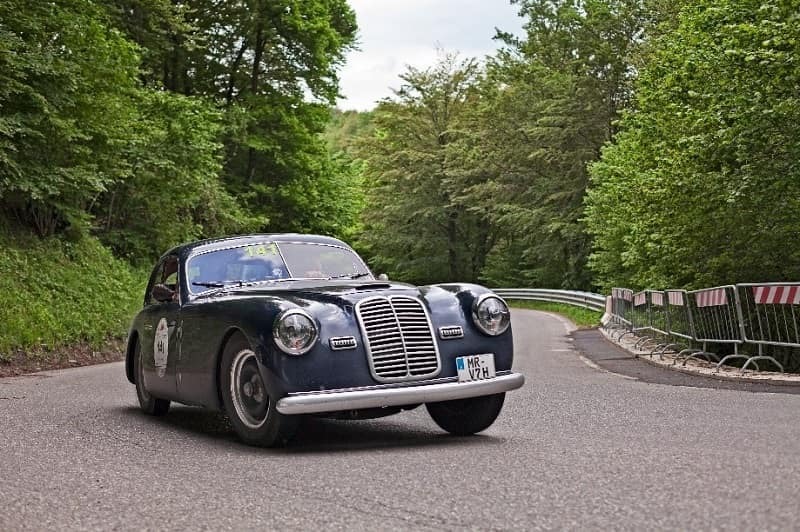 The A6 was a series of Maserati grand tourers produced from 1947 until 1956, which included the A6G 1500. With an alloy engine block, the A6G two-door coupe was designed by Maserati influencers including Pininfarina and Zagato. James Bond isn’t a stranger when it comes to Maserati vehicles. Released in 1989, James Bond: License to Kill featured the 1987 Maserati Biturbo 425i. And while the model wasn’t driven by Bond, viewers are given a good look at the interior and exterior as a henchman transports Bond. The Biturbo 425 was from the family of executive grand tourers produced from 1981 until 1994 by Maserati. The original Biturbo was a two-door, four-seater coupe with a V6 engine, two turbochargers, and luxurious interior to match. Designed by Pierangelo Andreani, the Biturbo has since been used as inspiration for newer models like the Quattroporte. Fans of the 1990 mobster movie The Godfather: Part III will notice that the Maserati Quattroporte III (Tipo AM 330) was used in a few scenes. The car was used as a status symbol; after all, you don’t see many mobsters driving an outdated station wagon. The third generation Quattroporte was developed while Alejandro de Tomaso was in control of the company. It was during this time that the model went back to the classic formula of rear-wheel drive and a Maserati V8 engine. Vampires are a mythical creature rumored to live for centuries. It’s only logical that they will want to adorn themselves with the best-of-the-best. With that in mind, it’s fitting that the main character, portrayed by Kate Beckinsale, would be found driving the 1998 Maserati 3200 GT throughout the 2003 film Underworld. The four-seater Maserati coupe was built with an all-aluminum V8 engine, two crossflow turbochargers, and a crossplane crankshaft. Built for speed and performance, the model lit up the screen. Released in 2011, the Limitless film starring Bradley Cooper and Robert DeNiro showed both actors driving the Maserati GranTurismo Coupe. The purest form of excitement, the Maserati GranTurismo is a direct descendant of the Pininfarina designed 1947 A6 1500 GT. The model offers an enticing blend of style, progressive technology, and surges with power. Featured in trailers for the movie and much of the fast-paced driving scenes, the Italian-inspired sports car was a welcomed addition to the big screen. 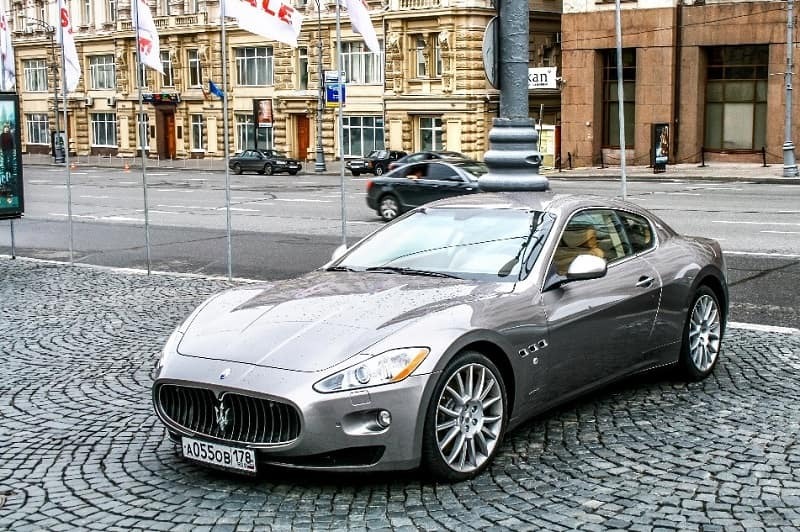 As we know, James Bond movies tend to favor luxury cars like Maserati. During Casino Royale there are two Maserati models spotted throughout the movie. The 2002 Maserati Spyder and 2004 Maserati Coupe helped shape the scenes and give Bond the element of class we’ve come to know and love. Designed by Giorgetto Giugiaro of ItalDesign, the Spyder was produced from 2001 until 2007, while the Coupe was produced from 2002 until 2007. Filmmakers around the world have used vehicles from the Maserati lineup over the course of a few decades. The lineup boasts sophistication, power, and leaves a lasting impression, even if the appearance is only a glimpse.